Egzotycznie, ciepło, tanio i wspaniałe fale!!! Maroko posiada długą linię brzegową wzdłuż Atlantyku i oferuje surferom szeroki wachlarz możliwości. Skaliste dna występują na przemian z piaszczystymi, rafowe punkty tworzenia się fal na przemian z plażowymi, oferując alternatywy dla każdych warunków, poziomu umiejętności i zaawansowania. Najsłynniejsze miejsca do surfowania (Killer Point, Anchor Point i Boilers) znajdują się na północ od Agadir, wokół wioski rybackiej i kryjówki surferów w Taghazout. Specjalizujemy się w Wakacjach Surfingowych w Maroko. Oferujemy wycieczki surfingowe, obozy surfingowe, kurorty surfingowe, przewodnictwo surfingowe, szkoły surfingowe i turnusy surfingowe w Maroko. Możesz wybrać najlepszy dla siebie rodzaj zakwaterowania. Może to być hotel, kurort surfingowy, hostel, domek surfingowy, dacza surfingowa lub pokoje. Wynajmujemy apartamenty w Tagahzout z widokiem na morze i posiadamy pakiety surfingowe dla wszystkich grup wiekowych, poziomów zaawansowania i zasobności portfela. Crou Crou Surf Villa - Taghazout, Agadir Ogólna ocena gości: ★★★★★ 5 oparte na 6 opinie. 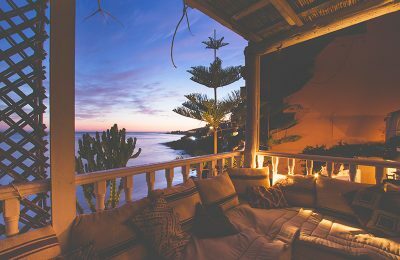 We’d love to welcome you to our beautiful villa nestled in the hillside village of Tamraght, Morocco and overlooking spectacular views of the Atlantic Ocean. We are just 20 minutes north of Agadir city and a 40 minute drive from the international airport – Al Massira. Right at the heart of some of the most famous surfing destinations in the world, with long sandy beaches on our doorstep, we enjoy over 300 days of sunshine a year making this the perfect all year round retreat destination. Crocodile Surf Camp - Taghazout, Morocco Ogólna ocena gości: ★★★★★ 5 oparte na 4 opinie. We offer you comfortable accommodation in a traditional Riad (Moroccan Hotel). There are single, double and triple rooms available, each room has an on-suite bathroom. 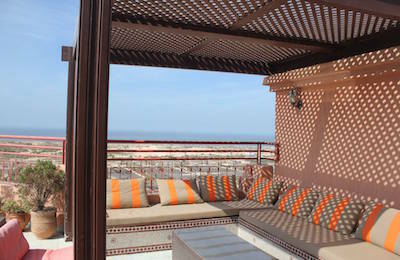 The Riad has stunning sea and sunset view’s and walking to the beach only takes a couple of minutes. Agadir Surf Camp - Taghazout, Morocco Ogólna ocena gości: ★★★★★ 5 oparte na 3 opinie. 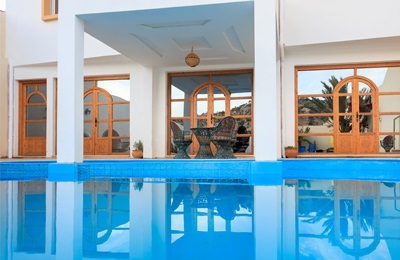 The house is just a short walk from the beach away, in a small village called Taghazout 20km north of Agadir. The coastline is quiet and beaches are not overcrowded. The swell can be checked from the terrace of the house each morning. We offer you a very nice accommodation. You will stay with other surfers in a fun, friendly and sociable atmosphere. 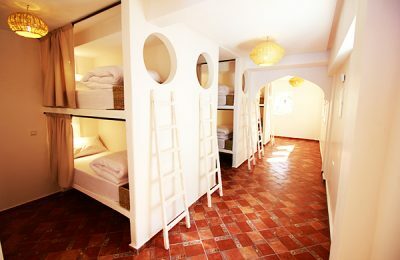 Panorama Surf Hostel - Taghazout, Agadir Ogólna ocena gości: ★★★★★ 5 oparte na 2 opinie. Crocro Surf House - Tamraght, Agadir Ogólna ocena gości: ★★★★★ 5 oparte na 3 opinie. 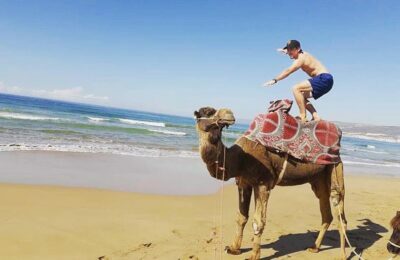 Whether you are looking for surf adventure or pure relaxation, you will find it here, the professional surf and yoga holidays in Morocco & surf school in Agadir morocco, is located in paradis beach, a village 25km to the north of Agadir city and 5 km far from north of Taghazout village. Crocro beach area is known for its great waves and beautiful natural sandy beaches of Agadir with more than 300 days of sun a year. 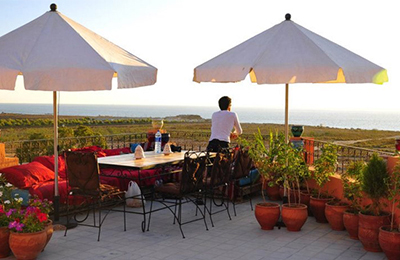 Taghazout Waters Edge Yoga and Surf Villa - Agadir, Souss-Massa Ogólna ocena gości: ★★★★★ 5 oparte na 7 opinie. 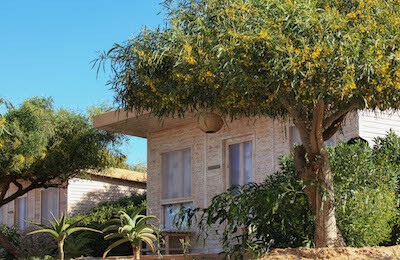 Only 15 kms from Agadir and few minutes driving from the best surf spots of the area, the surf camp offers ocean luxury and budget accommodation in front of the ocean ! 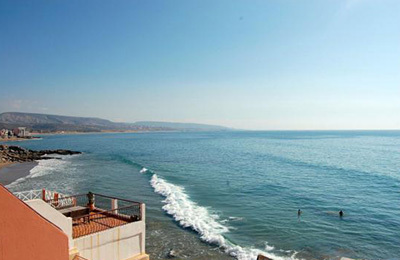 Surf in Taghazout and access to the mains surf spots of the area. Surf courses for beginners and intermediate. Whole day unlimited use of materials, Vinasa style and Hatha flow yoga sessions on the top-roof terrace. Killer Point Surf Apartment - Agadir, Taghazout Ogólna ocena gości: ★★★★★ 5 oparte na 3 opinie. Killer Point's stunning luxury apartments are located right on the beach in front of Morocco's most famous and exciting surf break - Killer Point. 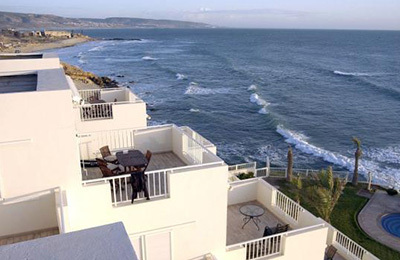 Taghazout Seaview Surf Apartment - Agadir, Taghazout Ogólna ocena gości: ★★★★★ 5 oparte na 1 opinie. Nice residential complex facing "Hash Point and Anchor Point" famous surf spot and a five minute walk from Taghazout town centre. Each apartment has a balcony with seaview. Devil's Rock Surf & Yoga Camp - Tamraght, Souss-Massa-Drâa Ogólna ocena gości: ★★★★★ 5 oparte na 2 opinie. We are located in the quiet Moroccan village of Tamraght. Popular surf spot Devil’s Rock is visible from our terrace, and it’s a short walk away from the Devil's Rock surf camp. The town of Taghazout is a quick drive to the north and the city of Agadir is 15 Kms to the south. 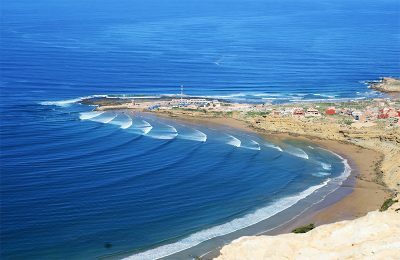 Anza Peak Surf House - Anza, Agadir Ogólna ocena gości: ☆☆☆☆☆ 0 oparte na 0 opinie. Near Agadir and just 13 kilometres from the famous Tagazouth is the delightful fishing village of Anza. It has some of the most consistent surfing conditions in the region, ranging from waves for those just starting out to large waves for experienced surfers. Our Surf House is just 50 metres from the largest spot, so all you have to do is put on the neoprene, grab the board and away you go! We offer double room and bunk beds rooms. Chill-out area where you can wind down, watching the sun set over the waves, drinking a cup of tea or taking part in a barbeque. The Magic Bay Surf Camp - Imsouane, Agadir Ogólna ocena gości: ★★★★★ 5 oparte na 4 opinie. 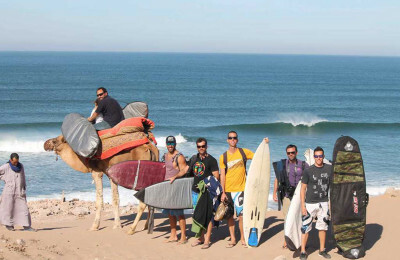 We are a surf and SUP camp located in Agadir region, famous Imsouane, the Magic Bay, which stems from both love of the ocean and passion for sharing surf moments. We will ensure you experience your holidays as you never thought possible. Come and surf the perfect 800 meters waves of the (Magic) Bay, discover Moroccan hospitality, year-round sunny weather, charming accommodation, exquisite home-cooked food and legendary surf memories await you here. Taghazout Boutique Surf Hotel - Taghazout, Agadir Ogólna ocena gości: ★★★★★ 5 oparte na 5 opinie. 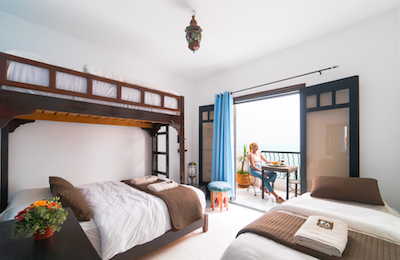 Boutique Surf Hotel Taghazout is where surf camp meets boutique oceanfront hotel. It offers lively public areas, spa, an infinity pool, cinema. The famous Moroccan coastline generously delivers waves for all surfing levels. Most of the rooms feature a floor-to-ceiling wall-to-wall windows that fully open - It feels like your room extends into the horizon! 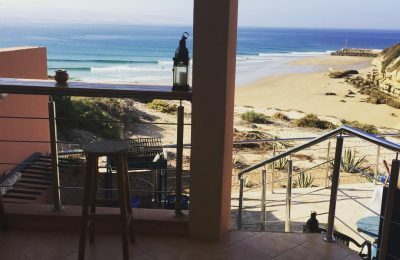 Beachfront Taghazout Surf Villa - Tagahzout, Agadir Ogólna ocena gości: ★★★★★ 5 oparte na 4 opinie. 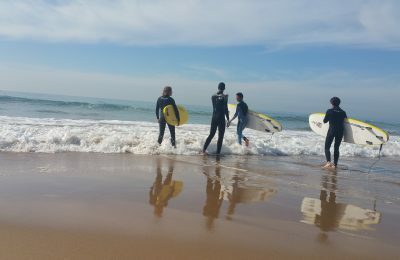 Banana Beach Surf guided tour & Surf Camp - Agadir, Taghazout Ogólna ocena gości: ★★★★★ 5 oparte na 3 opinie. Idealnym miejscem do surfowania w Maroku stanowiąc atrakcyjną opcję dla miłośników tego sportu o dowolnym stopniu zaawansowania, którym marzy się pierwszy w życiu ślizg na fali lub wzięcie udziału w zorganizowanym surfingu z instruktorem na północnym wybrzeżu Agadiru. Obiekt położony jest tylko 4 km od Taghazout. 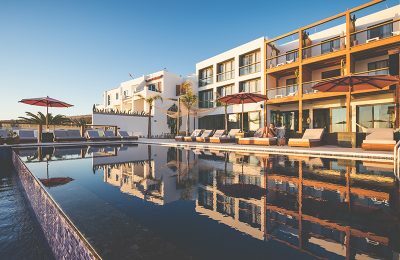 Banana Beach Surf Villa - taghazout, Agadir idda outanan Ogólna ocena gości: ★★★★★ 5 oparte na 3 opinie. Learn & improve your surf skills in one of the best surf destination in the world , our camp is located in a berbere village named tamraght only 3km south of taghazout . Anchor point Surf & Yoga Resort - Taghazout, Agadir Ogólna ocena gości: ★★★★★ 5 oparte na 2 opinie. Anchor Point Surf & Yoga Resort provides you for your accommodation Junior Suites, Premium Suites, Prestige Suites, Bungalows, Villas and Luxury appartment on a waterfront resort with 5km of sandy beach. 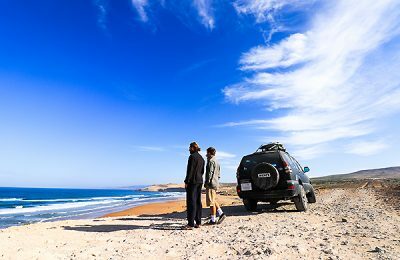 Dakhla lagoon Surf Camp - Dakhla, Oued Eddahab Ogólna ocena gości: ★★★★★ 5 oparte na 2 opinie. Enjoy a comfortable full-board stay in a right in the middle of the desert, with a high quality hotel service. Built besides the dunes, our sandy wood village is perfectly integrated into the landscape. Bungalows with a beautiful lagoon-view and a private terrace. Morocco Surf & Nature - Magic Bay Surf Camp - Imsouane, Agadir Ogólna ocena gości: ★★★★★ 5 oparte na 1 opinie. Located in Imsouane - a beautiful Moroccan fisherman village based in the Taghazout region. Our surf house is right on the beach front. All shops and restaurants are 1 minute away by foot. You can surf famous surf spots, trek, fish, go on a little boat trip and the bar is 5 minutes away by foot. Banana Village, Villa Shangri-La Surf & Yoga Villa - Aourir, Agadir Ogólna ocena gości: ☆☆☆☆☆ 0 oparte na 0 opinie. 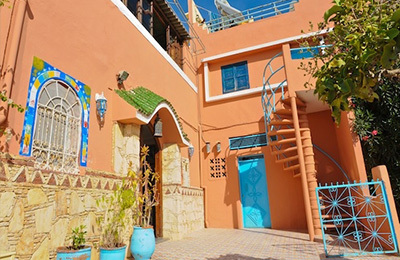 Villa Shangri-La, Surf & Yoga is located close to the beach, as well as the village of Taghazout and Anchor Point, famous world class surf spot. Small shops, cafés are just right next to the camp. rooms are en-suite , there is a swimming poll in the garden with mountain views and a rooftop terrace with stunning mountain and ocean views. 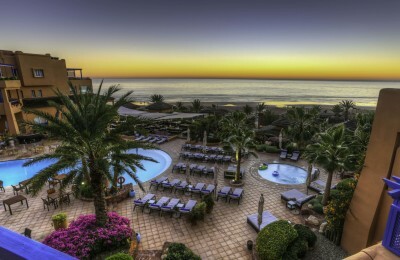 Banana Beach Surf House - Tamraght, Agadir Ogólna ocena gości: ★★★★★ 5 oparte na 3 opinie. Tamraght is a charming village located on a hill overlooking the ocean. Tamraght is facing eight surf spots and our Surf House is just a few minutes walk to Banana Beach, Spider and Devil´s Rock. The region has a microclimate which includes an average of 330 days of sunshine per year. We offer many options for accommodation, for all tastes: double rooms with twin beds or with a double bed, modular rooms and the new concept of shared room in our special room “Waveland” a unique experience, just check the options and choose yours. Boutique Surf Camp - Taghazout, Agadir Ogólna ocena gości: ★★★★★ 5 oparte na 6 opinie. Taghazout is a dream for European surfers, with year-round warm water and weather, waves for every level of surfer and a unique culture to experience. Our beautiful accommodation is on the sea front in the centre of Taghazout. Watch the sun rise and set over the ocean or check the waves from the terrace at our surf camp, or from your own private balcony at our apartments. Moknari Beach Surf House - Taghazout, Agadir Ogólna ocena gości: ★★★★☆ 4 oparte na 5 opinie. Are you searching to enjoy your holidays in a different way? 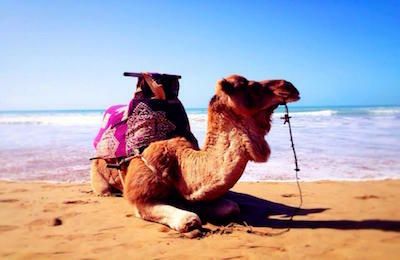 Do you want to experience the real Moroccan adventure and learn how to surf? Panoramic Ocean Views Surf Camp Surf - Taghazout, Souss-Massa Ogólna ocena gości: ☆☆☆☆☆ 0 oparte na 0 opinie. 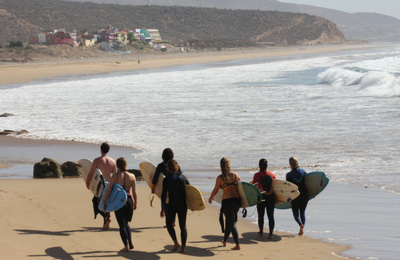 Surfing, sunbathing, and sensational sunsets at our Morocco Surf Camp in Taghazout! Includes 6 nights in stay in our Surf Palace, three delicious meals per day, daily professional surf lessons with surfboard and wet-suit hire, daily transportation to the best waves, excursions to Paradise Valley, the traditional bathhouse and local “Souq” markets, two yoga classes, access to Surf Palace’s Jacuzzi hot tub, Free WiFi access, Live music, workshop games, cinema and surf movies, pool table, football table, Xbox, Roulette drinking games, a cooking class and access to our in-house Sauna! Imouran Surf Camp - Taghazout Bay, Morocco Ogólna ocena gości: ☆☆☆☆☆ 0 oparte na 0 opinie. 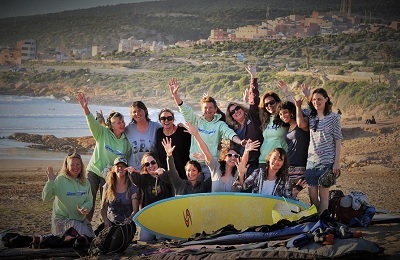 We are a friendly all level surf school and surf camp based in the relaxed surf village of Tamraght just 5 minutes from the beach and a short distance from Agadir city and airport. 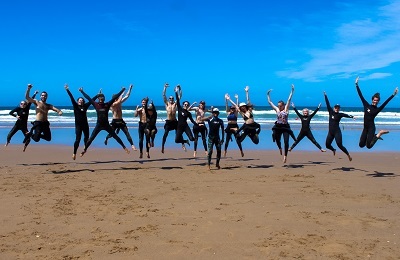 Our small and experienced team are passionate about providing you with the best possible holiday experience - sharing our love of surfing and the Moroccan culture with you. 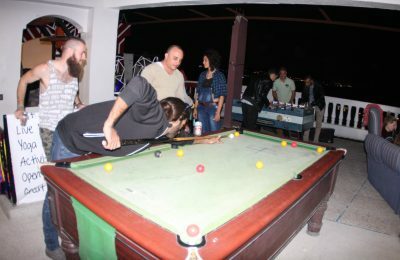 Our traditional Moroccan style riad accommodation offers you a spacious, clean and comfortable stay with three floors all based around a central pool and communal area, as well as two beautiful rooftop terraces. All rooms are ensuite with their own private toilet and shower. Obozy surfingowe, resort surfingowe, czartery, hotele oraz inne formy zakwaterowania dla surferów!